The Vivo X21 solely loses out to the mighty OnePlus 6 because of bad pricing. Gets you a cool new in-display fingerprint reader, great battery life, audio quality packaged in a gorgeous body. That in-display fingerprint reader needs some work and so does the pricing. 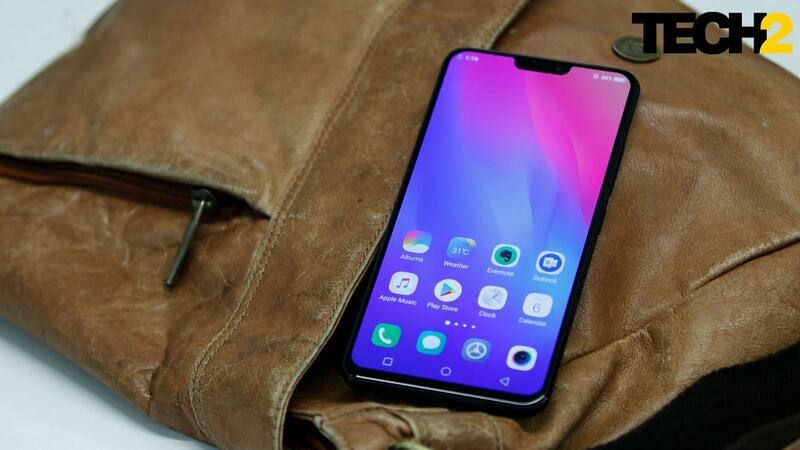 It’s not every day that you come across a smartphone as innovative as the Vivo X21. Labelled as the X21 UD in China, the device is the first production smartphone with an under-display (or in screen) fingerprint reader and with just this, Vivo does deserve an applause. 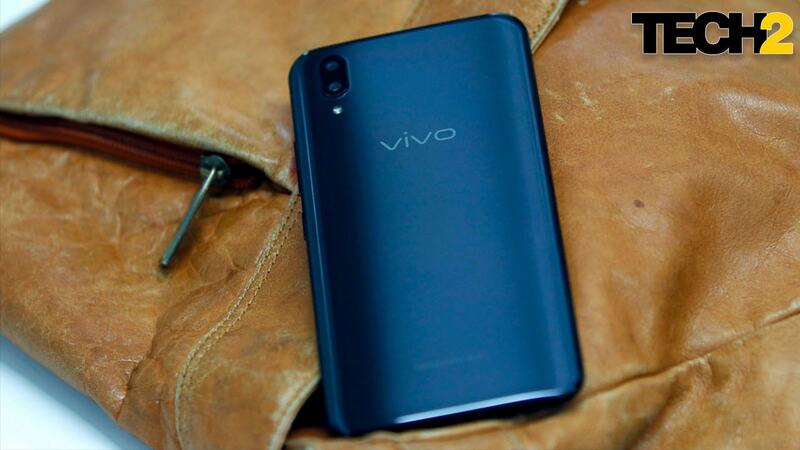 While it may seem like the coolest smartphone to buy right now, Vivo’s high pricing (at Rs 35,990) is what will drive many away from this beauty. In fact, it is Vivo’s pricing that will convince many to pick up the OnePlus 6 at Rs 34,999 that not only comes with better hardware specifications but, unfortunately for Vivo, also performs better in every aspect. If there’s one detail to note about the BBK Electronics siblings this year, it has to be their focus on design and construction. OnePlus pulled off a brand new design with its own matte-finished glass with Midnight Black, and the Oppo Find X also showcases a radical new design, something, no other manufacturer has tried before. With that said, the Vivo X21 is no Vivo Nex but features a unique finish at the back with just one cavity in the glass for the dual camera setup because the fingerprint reader in this device, lies under its display on the front. The smooth and slippery finish is far from grippy, but gives the device a premium feel and has the shiny enamel look. This finish is also the reason why it does not catch fingerprints easily. Even if it does, it is quite effortless to wipe them off. While it may look like a typical glass back, it sure is something completely different! Enough with the back! Adding to the slippery surfaces is also the metal frame around the sides, which is not just polished to a mirror finish but features a rounded design, making this a really slippery smartphone, no matter what surface you place it on. An odd detail about this device is the placement of the SIM card tray. It sits at the bottom, to the left of the charging port. This seems to be a trend, as even the newer offerings from BBK Electronics like the Vivo Nex and the Oppo Find X also have the SIM tray located in the same area. Another impressive feat is how Vivo engineers managed to squeeze in a 3.5 mm headphone jack at the top, on a smartphone that makes the OnePlus 6 look chubby! 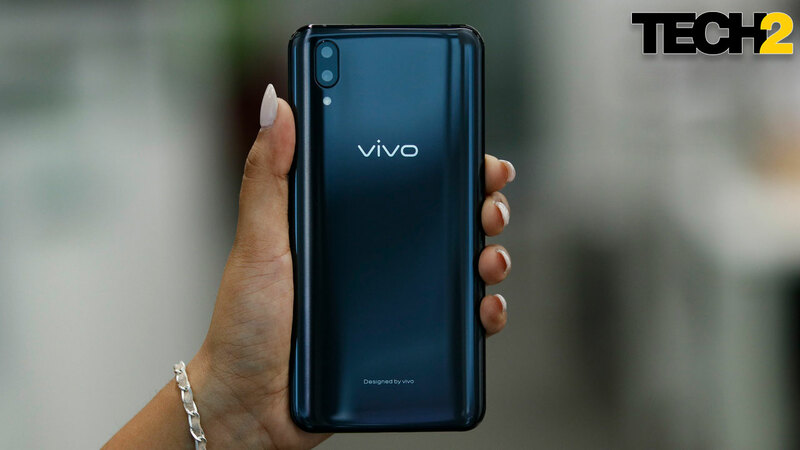 Another area where Vivo does it better are those razor-thin bezels. 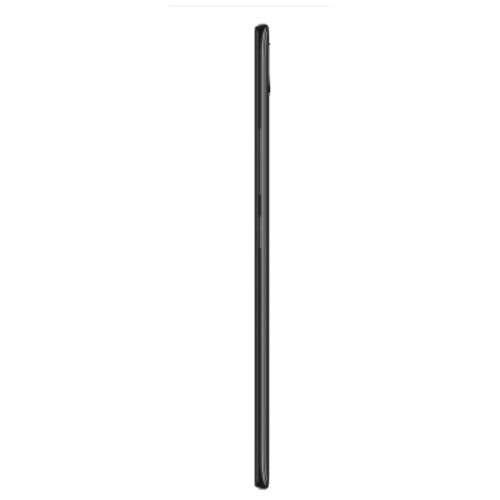 These are definitely thinner than the ones on the OnePlus 6 and way thinner than the ones on the overweight Honor 10. Indeed, this is the most beautiful-looking smartphone to come out of BBK’s stables yet, given its price range in the sub Rs 40,000 segment. The Vivo X21 is a bit overpriced when you compare its hardware specifications to the competition. The device features a 6.28 inch Super AMOLED display sporting a resolution of 1080x2280 pixels. The SoC inside is a Qualcomm Snapdragon 660, one that is also used on the currently available Nokia 7 Plus that’s priced almost Rs 10,000 less but comes with 4 GB RAM. Talking about RAM and storage, the X21 seems to have enough of it, with 6 GB RAM and 128 GB of internal storage that is expandable up to 256 GB using the hybrid SIM tray. A point to note here is how the Vivo does offer something better in comparison to the OnePlus 6 when it comes to internal storage and expandable memory. As for the cameras, the X21 gets you a dual camera setup at the back with a 12 MP + 5 MP both of which do feature OIS like on the OnePlus 6. The front-facing camera is a similar 12 MP sensor hinting that this isn’t one of those typical selfie-smartphones that the company is known for. Connectivity options include support for 4G LTE bands with dual nano SIM slots with dual standby, Wi-Fi (dual band), Bluetooth 5.0 and a USB 2.0 port that comes in a microUSB standard. Indeed, it’s easy to call out Vivo for not adding a Type C port and NFC, like the OnePlus 6 provides, at a similar starting price. 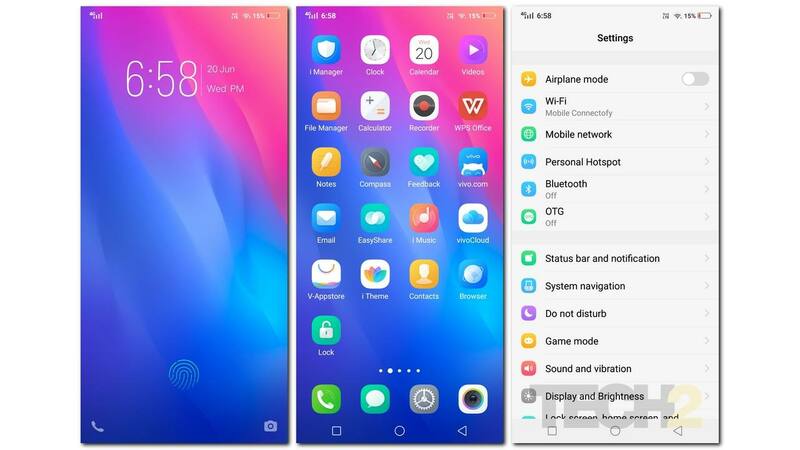 On the software front, the Vivo X21 gets you the company’s proprietary Funtouch OS 4.0 (based on Android Oreo 8.1) but don’t get too excited about this as I have plenty to rant about it in the software section. Lastly, there’s the 3,200 mAh battery that is surprisingly squeezed into the slim chassis of the smartphone and comes with Vivo’s dual charging engine, fast charging technology. The 6.28-inch Super AMOLED display of the Vivo X21 is set into a really small footprint. But this one thanks to the smartphone’s design feels even more compact. 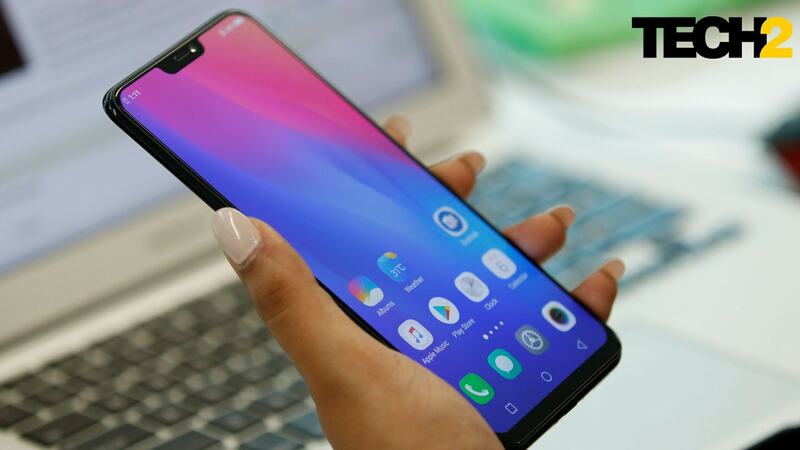 Yes, it does feature the notch unlike the brand new Vivo Nex smartphone, but the highlight of the display is the fingerprint reader that lies beneath it. The fingerprint reader as showcased in a video by JerryRigEverything, is glued to the display from the back. It’s not visible as it sits right below the thin OLED layer that makes it invisible when lit up. The only way to spot it is to hold the smartphone in direct sunlight, which is when you can spot the fingerprint reader below the OLED layer. This isn’t a capacitive unit like most other fingerprint readers found on devices like the OnePlus 6, but works differently which is why it is a tad bit slower to respond as compared to the standard ones on most other devices. When Vivo showcased the X21, the in-display fingerprint reader was the highlight and it makes for a great use case reducing the need to save a dedicated area on the back of the device, which usually also eats into the battery capacity of most smartphones. While this may seem like a win-win, my experience when using the device was not exactly that. More on this in the Performance section. Coming to the display itself, it looks amazing. 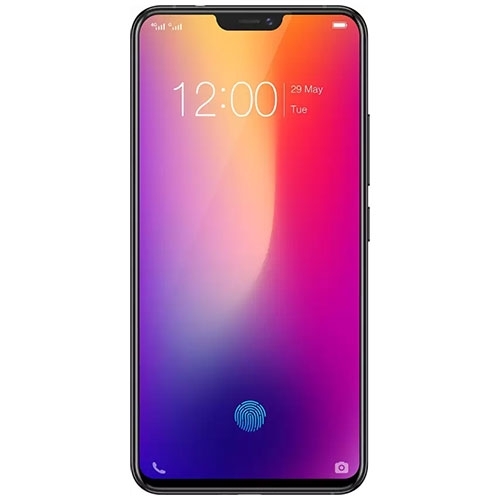 While I personally hate the display notch, I didn’t mind it because of how thin the bezels around the top left and right sides really are. This is far from a cheap AMOLED panel and seemed to skip on the usual pink or reddish tinge I have noticed on other AMOLED devices. Text and images appear sharp, viewing angles are great, but the brightness levels are a bit low. Clicking photos in direct sunlight proved to be quite the task. Even with adaptive display switched on, the phone just could not manage to be bright enough to view photos or click them with ease. Using apps was passable, but Vivo could have made this display a lot brighter. Another detail that I appreciated is how it avoided getting smudgy with fingerprints, meaning that the screen does come with a proper oleophobic coating. For long, OnePlus seems to be the only brand to have found the sweet spot when it comes to balancing stock Android features and custom features in a palatable manner. And the Vivo X21 is out to prove just the opposite. Coming from iOS, I have no problems using FunTouch OS thanks to several similarities it has with Apple’s mobile operating system. The icons are rounded and the Settings menu is very unlike Google’s simpler stock approach. But there are a few problems. Vivo's FunTouchOS seems to be inspired by Apple's iOS. Vivo has even taken inspiration from the Apple when it comes to gestures, but its approach to the same is half-hearted at best. Once activated in Settings>System Navigation, you have to keep in mind three swipe areas. 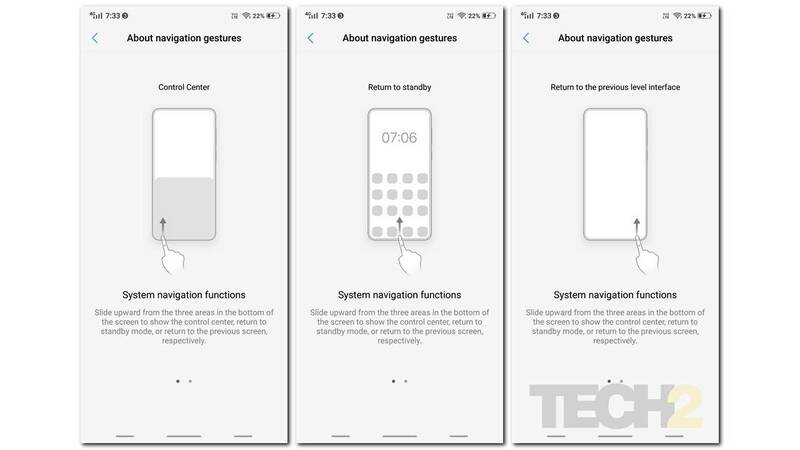 The Vivo X21's gesture navigation system has a learning curve. There’s one on the left, one in the centre and one on the right. This basically divides the bottom half of the display into three equal zones to do all of your swiping. Swiping from just above the bottom bezel to the top on the right side works like a back button. Swiping up from the centre takes you back to the home screen and swiping upwards from the left side of the display opens the iOS-like control centre that gets you the access to connectivity toggles, display brightness and more. While it sounds simple, it is a lot different from the way gestures on an iPhone X work. The problem lies in remembering these zones. And to put it simply, it took a few hours to master it, after which I ended up switching it off and using the device with the standard navigation keys that I honestly felt were snappy. And that was the gestures bit. Now comes the actual software where I have plenty to rant about. This is the thinnest bezel I have seen on a smartphone yet, while that sounds like a good thing, thanks to Vivo's software it's not. But I'll come back to this in a bit. The display does not have any sort of accidental touch rejection or palm rejection around its edges, which smartphones with razor-thin bezels like the Galaxy S9 have. So when gaming, the entire display all the way up the areas above and below the notch (when held horizontally), would register touches when gripping the phone (which is already quite slippery to begin with). So when playing racing games like Real Racing 3, that register any tap on the display as a brake, my car ended up breaking frequently for no reason because there's really not much to grip, to manoeuvre the smartphone itself. This is quite irritating. The OS is messed up when it comes to the notch. Don't know if it is my OCD, but the first indicator that this device is not prepared for the notch in terms of software is the fact that status bar, in general, is bigger in thickness than the notch. Most smartphones with an edge to edge display or those that come with a notch will have a workaround to scale apps, either to avoid the notch (by hiding the notch area) or adapt to it (around it). The letterboxed view when viewing video. Thankfully YouTube supports pinch to zoom unlike Netflix. In the case of the Vivo X21, things get complicated because it does not do the former. So while watching Netflix, I either had to watch movies that had thick black border (on either side) in what appeared to be an almost 16:9 ratio, or watch a movie with the notch included (like on the iPhone X) which felt like watching out of a car's windshield with the mirror jutting into the view from the top. This was also the case with every other app including games. In short, if you wanted to experience the bezel-less display, you have to make do with the notch in your view or simply chop down apps in an almost 16:9 viewing experience which, honestly speaking, is pathetic on a 19:9 aspect ratio display. 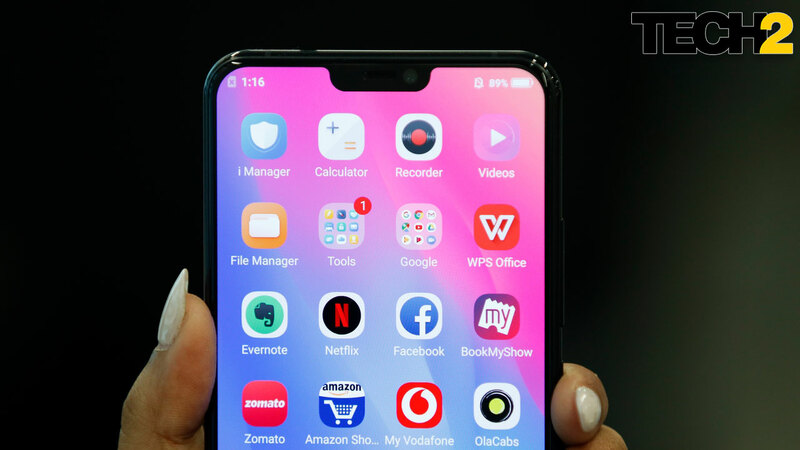 While I could blame Android app developers for not implementing notch avoidance in their apps, many smartphone manufacturers have found their work around, so Vivo can do better. With all that ranting out of the way. 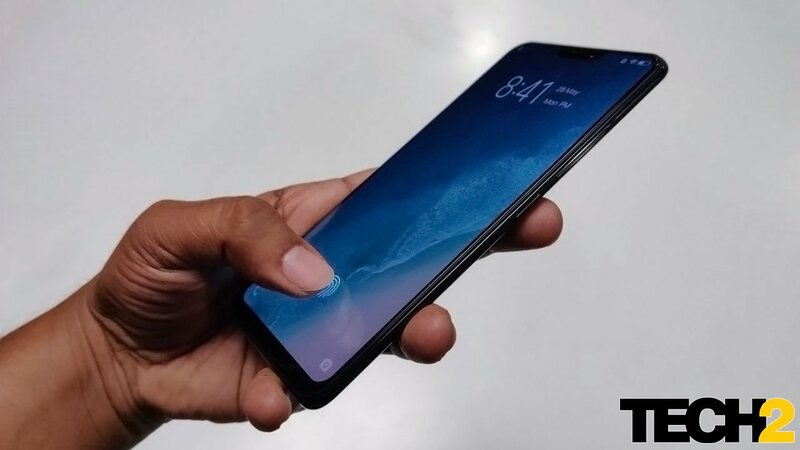 Vivo still has a chance to drastically improve things here with a software update that comes with the ability to hide the notch when not needed. 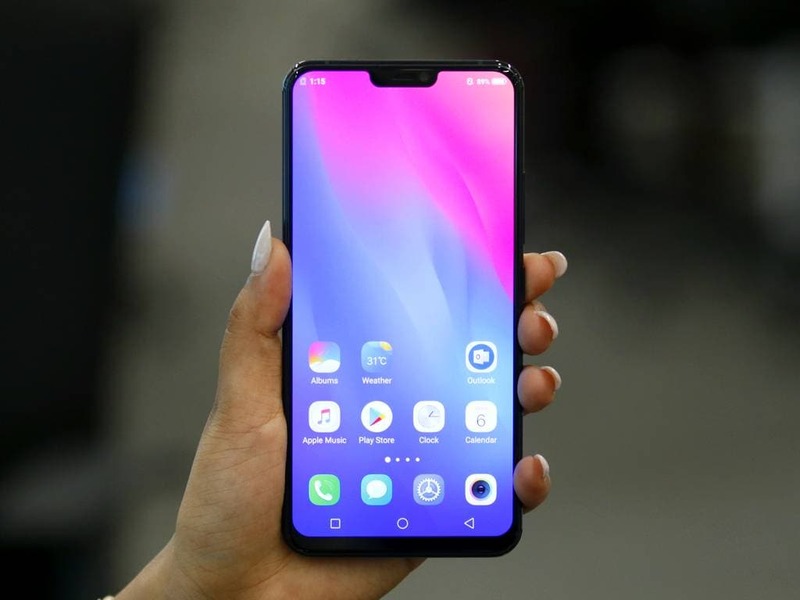 OnePlus did a fine job with the notch and it is definitely a better experience out there than on the Vivo X21. Notifications are a bit of a problem. Certain apps like Outlook, Telegram (actually a lot of them) don't show notifications unless you open them. It's not clear whether this is a battery optimisation feature that works similar to iOS or a flaw. But since I use these apps very frequently, the system should have known by now that the notifications from the same are vital. Apart from the above, the software did not feel polished. Take for example how gesture system was implemented with a thin strip running at the bottom when kept to dots, dashes or invisible. When using all three icon patterns, there was a permanent bar at the bottom when using a third-party app, which kind of kills the point of the gestures to begin with. While the software was a mess, there was also a bit of stutter at times. These occasions were quite rare, but the overall UI experience was smooth. Apps opened and closed quickly and the same can be said of the iOS-inspired recents menu in a card layout that scrolled very smoothly. Gaming performance was pretty good, and the smartphone tackled graphics-heavy 3D games with ease, given its 6 GB RAM and powerful Snapdragon 660 SoC. And it did all of this without heating up. Audio performance was pretty good thanks to the AK4376A hi-fi chipset. 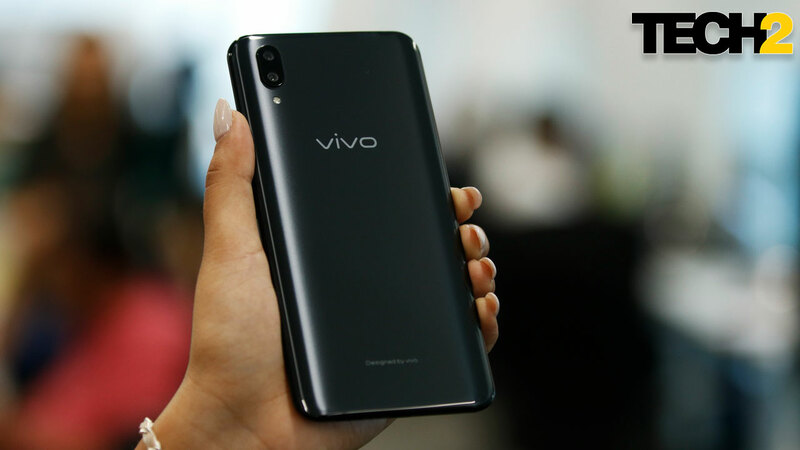 Vivo is known for its audio prowess in the smartphone space, and the audio quality was well balanced and rich when heard using the packaged Vivo earphones. A detail to note here is how the Vivo’s Hi-Fi enhancements (added bass if you ask me) is only available for a limited number of apps. Sadly, this does not include Apple Music. You can see a ‘Hi-Fi’ status bar icon showing up when the system is in use. Even when it is not active, the sound quality is pretty darn good. 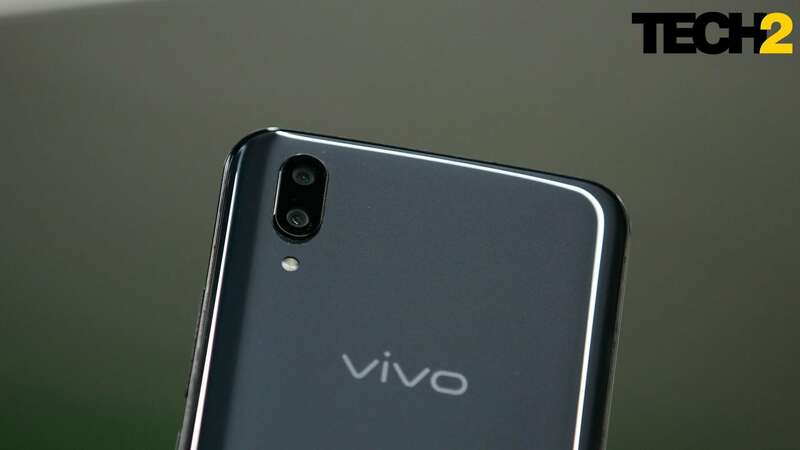 Vivo does warn that using the Hi-Fi system does affect the battery life of the device. Gaming performance was pretty good. The bottom-firing speaker is loud despite having a single speaker setup but sounded quite similar to the unit on the OnePlus 6. Indeed, the Vivo X21 is a better choice for those who invest in high-end wired audio gear. I mentioned wired, because the OnePlus 6 offers better support for wireless audio with aptX HD. Coming back to the in-display fingerprint reader, I loved to use it, but there are plenty of instances where it failed to authenticate (more like 2 out of 10). The problem is that it is hard to point out why and when it will refuse to work. And when it does not, the experience is utterly frustrating especially when using it with banking apps. To make things worse Google has yet to add support for in-display fingerprint authentication so you will see the fingerprint icon floating over your banking app with no card or a placeholder for it. This also means that once it authenticates your finger automatically presses down on the button below it, which can be really annoying. Apart from official software support, the fingerprint reader is also half a second slower to react as compared to the cheapest budget smartphone (with capacitive readers) you can find in the market place. Hopefully, this is the way forward with further updates to the technology as is seen with an improved version of the same reader that reportedly works a lot faster on the Nex. My handy tip here is to switch to another finger if the device refuses to authenticate or use the simpler and less secure face unlock system for quicker unlocking. A quick glimpse at the hardware specifications of the Vivo X21 and the OnePlus 6, will give pretty much anyone a better idea of which smartphone will perform better. And the results are no different. The Vivo X21 performs pretty well, with results that come quite close to those of the OnePlus 6, just that the latter comes with OIS that lets it shoot better photographs in low light. What is also missing is that powerful Snapdragon 845 SoC that also allows for good slow motion and 4K 60 fps video. In daylight, the camera performance is pretty much at par with the OnePlus 6 with photos that showcase natural looking colours along with sharp image quality. In low light, that lack of OIS makes its presence felt with photos that show a slight blur. The noise levels are higher than that of the OnePlus 6 and while it really does not interfere with the image quality in daylight, it pretty much messes up the low light shots. Don’t get me wrong though, for the price, the Vivo X21 clicks some great looking photographs, it’s just that it does perform as well as the OnePlus 6, given its pricing. It’s more of a competitor to the Nokia 7 Plus, but I strongly believe that X21 performs better in low light or street lit scenarios than the former. The HDR is a life-saver since both front and rear cameras have a tendency to over expose in brightly lit scenarios. Coming to the Portrait mode, the edge detection is not too great. The photos from the rear camera are decent and the edge detection is pretty much average with some part of the subject merging with the background. 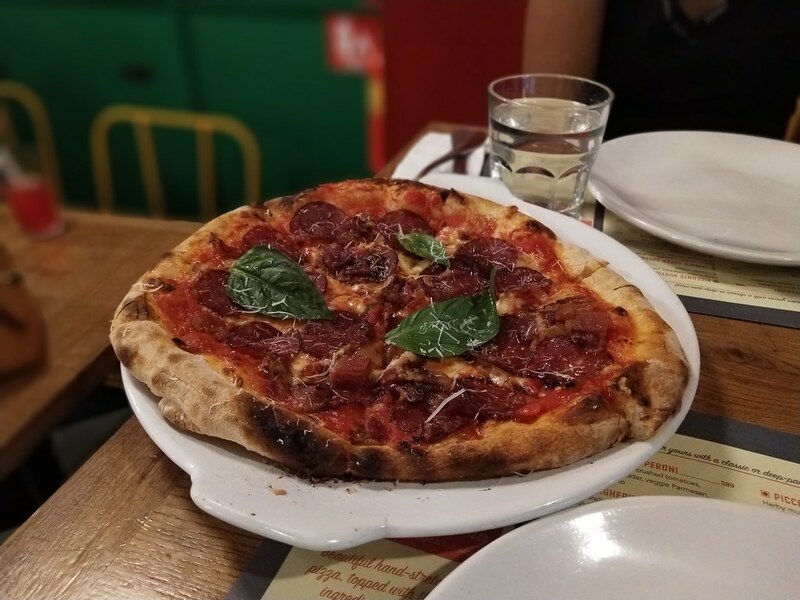 The front-facing camera fares better here and can take out some great selfies using portrait mode and HDR in most lighting conditions save for an absolute blackout. You cannot use both portrait mode and HDR together. Video recording is impressive in the sense that it offers 4K, 1080p and 720p video from both the front and rear cameras. The quality is decent though the bitrate falls a bit short and I missed a 1080p 60 fps mode. Software stabilisation was good but the lack of OIS is evident. Moving that fingerprint reader to under the display has allowed Vivo to pack in a sizeable 3,200 mAh battery in a slimmer package than the OnePlus 6. With the new age Snapdragon 660 SoC the battery saving only gets better. With continuous Slack, WhatsApp, Telegram and two email accounts on sync buzzing through the day, battery life was never a problem and I don’t recall reaching out for the charger at the end of such work days either. While I was not able to run our standard PC Mark Work 2.0 Battery Life test on the device, I can easily say that it lasts a regular work day with about 20-30 percent juice left to space. Keeping the always on display turned on, does sip away a bit from this 20-30 percent, but it’s not substantial. Even when the battery did die out, the bundled charger using its dual engine fast charging technology manages to charge the device in a little over an hour (1.5 hours to be precise), which is pretty good. All-in-all the Vivo X21 does seem to fair better than the OnePlus 6 in this area. The Vivo X21 is a great-looking smartphone and it offers something new with an in-display fingerprint reader. And while the notch-friendly design does give you more phone and less bezel, bad software optimisation does not make for the best user experience. With that said, the Vivo X21 does get a few things right. It offers a great display with really thin bezels, in a beautifully designed body, and something from the future in the form of the in-display fingerprint reader. Add some really good audio chops to the mix and the X21 will appeal to some even at its Rs 35,990 asking price. Where else can you get a cool in-display fingerprint reader in this price range? My answer to that is possibly the next OnePlus 6T. Even after all it has on offer, the X21 would have been a great buy at around Rs 28,000 which makes it a better deal than the Nokia 7 Plus. Sadly, it is priced Rs 1,000 higher than the mighty OnePlus 6 (albeit in its most basic form with 6 GB + 64 GB) that not only gets you bragging rights, but also performs better. And with that said, the only time I would recommend you to buy this beauty is if it gets a price cut. Otherwise, the OnePlus 6 is a far better deal. 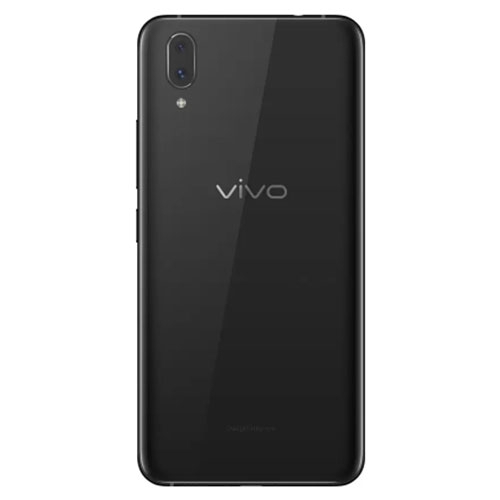 The Vivo X21 features a 6.28-inch Super AMOLED display with a resolution of 2280 x 1080 pixels and is powered by a 2.2GHz + 1.8GHz octa core processor and has 6GB of RAM. It comes with 128GB of inbuilt storage, expandable upto 256GB and has a 12.0 + 5.0-megapixel rear camera and 12.0-megapixel front camera. It comes with Android 8.1 (Oreo) OS and support a 3200mAh battery capacity with 3G & 4G.